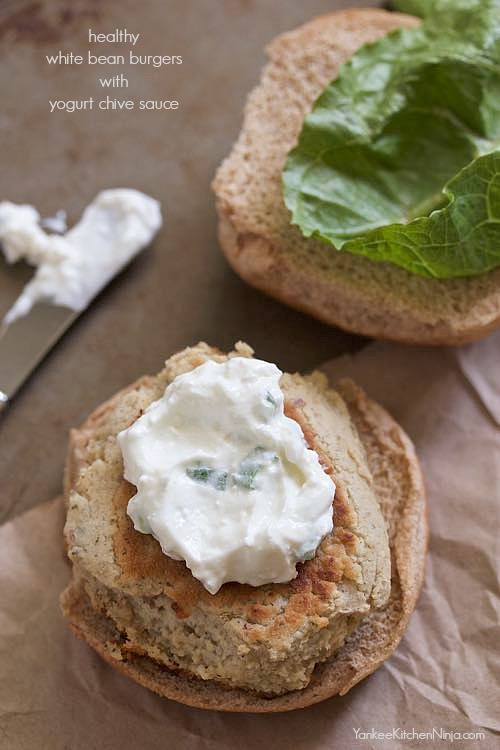 These simple, healthy white bean burgers with a yogurt feta sauce are super flavorful and won't fall apart like many veggie burgers. Note: Recipe and photos updated April 2016. I made this recipe in 2013 as part of the Secret Recipe Club (SRC). I was a little nervous about this month's assignment, as I knew it would fall right during Detox January. I had my fingers crossed that I would be assigned a blog with at least a couple of healthy recipes from which I could choose. 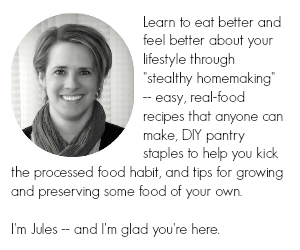 My assigned blog was Cooking Whims, written by Megan, another New Englandah (yay!). Megan is clearly a big fan of Cooking Light recipes, as am I, so I was thrilled to find so many things to try. In fact, I wound up making two of her recipes and had a hard time choosing which one to feature (really, it came down to which one yielded a better photo). The winner? White bean burgers, a perfect, meatless dinner option for Detox January. 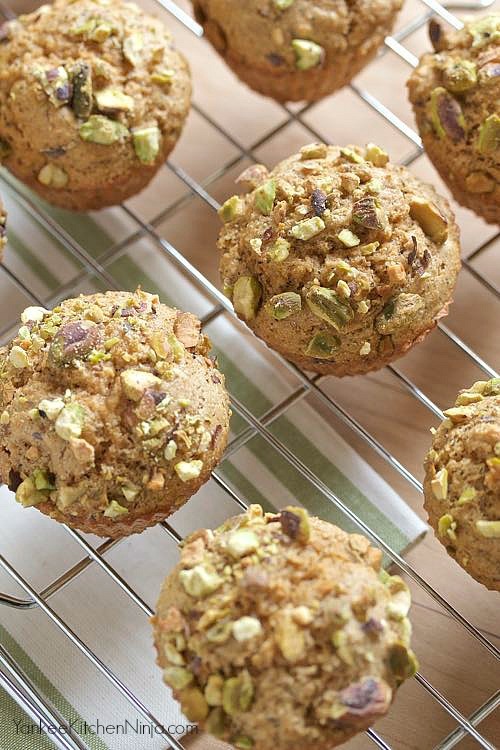 Enjoy these simple, not-too-sweet pistachio chai muffins as a skinny grab-and-go breakfast or quick afternoon treat. When I go back and look at my recipe index, particularly the recipes I wrote about in the early days of this blog, I realize that there are a lot of easy, healthy, yummy, awesome recipes in there. But they are horribly photographed. When I started this blog six years ago (oh my goodness, SIX YEARS! ), I didn't even know how to use the manual mode on my dinky point-and-shoot camera. So my posts really suffered. As did some of you, who have been supporting me from the beginning and willingly looked at those pictures! Times have changed and so have my skills. Therefore, I'd like to give some of those awesome recipes a second life by re-photographing them to show you just how gorgeous they are. And delicious. And worth your time. 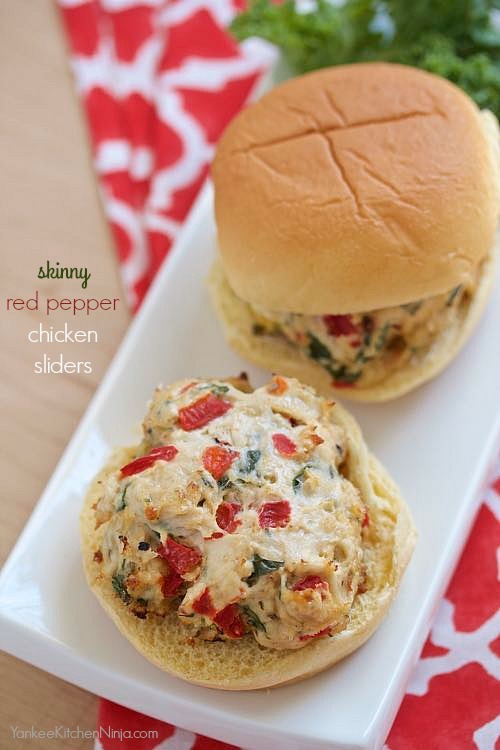 Make these broiled skinny red pepper chicken sliders for a fun and fast weeknight dinner. I've got another slider recipe for you today -- skinny red pepper chicken sliders, to be specific -- and it's quite honestly because burger buns come in insanely large packages and I hate to waste them. I'm serious. Think about it. We are just two people but whenever we want to enjoy burgers, I always get stuck buying a package of 8 freakin' burger buns. What's up with that? Does a family of four really eat two burgers each every time it grills? I highly doubt it. So why can't anyone make a package of only four buns -- ostensibly a half package -- for smaller families? I can't be the only one that would be excited about that. And yes, I've tried freezing the extras. But then I just end up three months later throwing out a bunch of small packages of frozen leftover burger buns instead of day-old ones because, frankly, they never taste any good once thawed, no matter how cleverly I wrap them prior to freezing. So my efforts to be frugal and not wasteful with my package of 16 slider buns means that you get a second slider recipe in a row. But this is not a bad thing, trust me. These skinny red pepper chicken sliders are also a great way to use up that half-empty jar of roasted red peppers that's been hanging around your refrigerator door -- not to mention the jar of pepperoncini you just bought to make last week's tangy slow cooker pot roast sliders.